At this year’s Newcastle NCASS dinner on 16th March 2018 held at The Biscuit Factory, £1,500 was raised for local charity Caring Hands. This superb amount was raised from raffle ticket sales, the Heads and Tails game proceeds, as well as assistance from the Northern Society of Chartered Accountants (NorSCA). With giant balloons and huge light up letters on the stage the room looked fantastic! Following a welcome and introduction from the NCASS Chair, each guest’s fate was sealed by the toss of a coin with a Heads and Tails game, expertly hosted by NCASS committee members Rich Tiffany (RSM) and Sam Hutson (Colin Hutson Accounting). Following a delicious 3 course meal the casino tables opened and guests enjoyed an evening of trying their luck on the roulette wheel and dancing! Yasmin Smith (PwC) NCASS Chair said “with 280 people in attendance it was a great evening, with a brilliant amount of money raised for Caring Hands which I know they are extremely grateful for and the money will make a huge difference to their charity”. 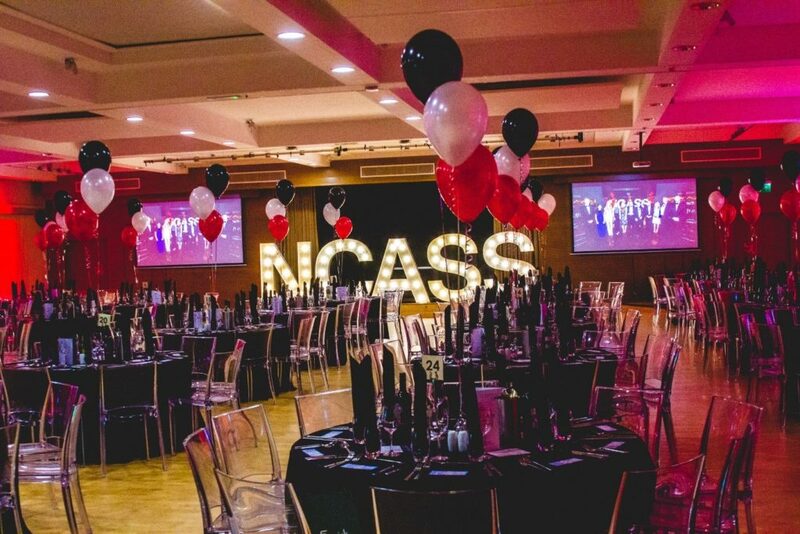 Chris Soan (Newcastle University Business School), NCASS President said “the annual dinner provides the ideal opportunity for ICAEW students to meet students from other firms across the Northern region. This is a perfect example of NCASS’s raison d’être – managed by ICAEW students for ICAEW students”. The date of the 2019 Newcastle dinner is yet to be decided. However, before that, NCASS has a number of events including this year’s Teesside NCASS dinner which is on 18th May.